Ideal for the long trip or a day at the club. Convenient hook attaches to the vanity towel bar or locker hardware. Moisture-resistant nylon lining for easy care. 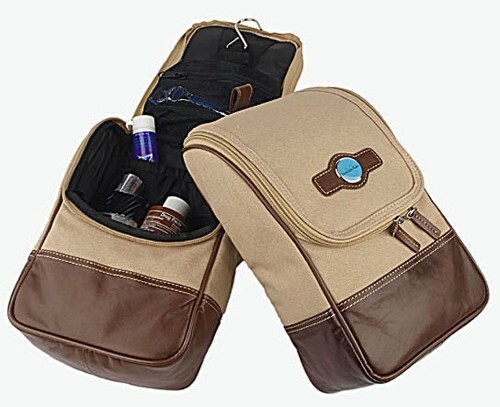 Sized to keep all your personal essentials organized. Rugged leather trim and piping with sewn construction. Tan canvas / Brown leather only. 7" x 11" x 4"